Select a color brass Copper Silver Black Surprise Me! 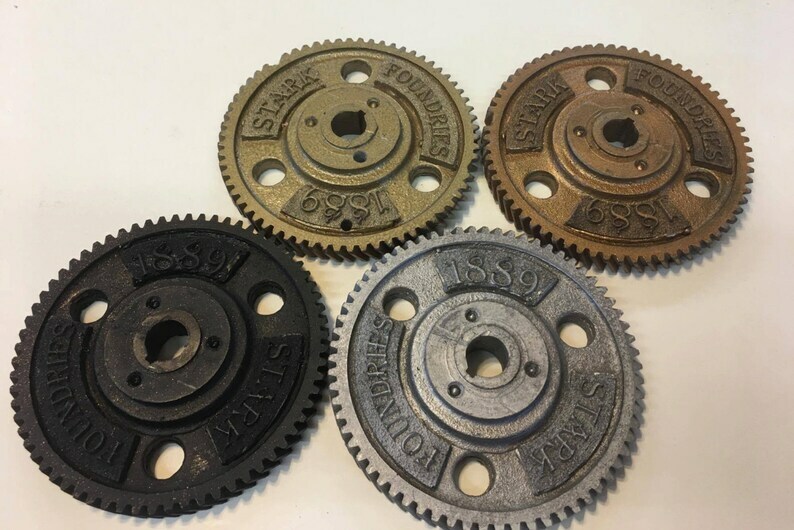 Resin cast gears with powdered metal coating, so they appear to be metal but are extremely lightweight at only weigh 4 ounces each (the original weighed over a pound!) Each gear reads "Stark Foundaries 1889" on one side. Please note that each piece is single-sided - the backs are unfinished. Measures 4.5 inches.